South America is an amazing place to go backpacking, it is packed with varied destinations and different activities that will blow your mind time and time again. Whether it’s experiencing the sunrise over the famous Machu Picchu or discovering a tiny village in the Amazon you’ll enjoy every second. Best of all, backpacker travel is made incredibly easy across the continent, whether it’s finding good backpacker accomodation in Argentina or booking onto a night bus from Peru to Colombia. Check out the various backpacking destinations below and try and pick and favourite, i still can’t! When you’re about to go backpacking there’s always a million things going through your mind and, no matter how organised you are, it’s very hard to remember every last thing. It doesn’t matter if you forget a pair of pants or a t shirt but you don’t want to be left without any of the essentials that you can’t live without. Guide Book: Whilst i would always recommend travelling freely and exploring the unknown when out on the road, a guide book to the places you are visiting will always be helpful. All the information for arrival, backpacker accomodation and other essential titbits really help out. 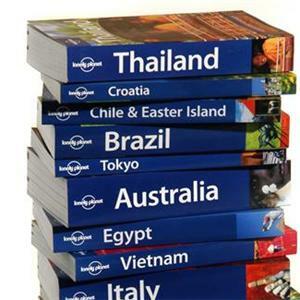 There’s also the language barrier to cross in many destinations and if you have a good guidebook this will give you all the necessary phrases. Bags: Of all the things that you take with you, your rucksack is the one you’ll get most friendly with. So make sure you get a good one! My one tip would be to get a rucksack that fully opens around the side, there’s nothing worse than rooting around for something at the bottom of your bag through one small opening! A good daybag is also essential, and i would recommend getting one with a built in water bag and drinking straw as you’ll often use it when you’re out on treks and long day trips. The last bag to remember is a sleeping bag. A lot of backpacker accomodation won’t have nice bedding and you’ll really appreciate curling up in your own toasty bedding. Security: What’s the point having great bags if people nick all the stuff out of them?! Always have a few padlocks to use on your main rucksack (when you leave it in a hostel or put it in the lower compartment of a bus)and on your daybag (for the most important bits like money and passport). A money belt is also a good idea for when you’re wandering around the bigger cities. Camera Memory Cards: You’d have to be a nugget to forget your camera when you step out your front door, but you could be forgiven for not taking spare memory cards. In the digital age it’s easy to get snap happy and having a spare memory card or two is always useful. Even taking a USB stick is a good idea to load photos onto in order to clear space on your memory cards. First Aid Kit: This is an obvious one but one that many overlook. Make sure it’s well stocked as in many places it’s hard to find reliable sources of medicine and medical supplies. MP3 Player: Some people say you shouldn’t take expensive items away with you but i disagree. Whether you’re on a long bus journey, having a quiet night in the hostel or relaxing on the beach your MP3 player will always come in handy. It’s also a great tonic for when you get a bit of homesickness as it can bring a nice reminder of good times back home. Head Torch: You might not be out in the jungle every night while you’re away but a head torch is useful in more situations than that. When you stay in a hostel dormitory most nights it’s perfect for late night reading or midnight trips to the bathroom. Travel Adaptors: There’s nothing more frustrating than having all your electrical appliances with you and not being able to use them as you can’t charge them up. You only need 2 or 3 maximum and they’re only small so stock up! Document pack: It’s a boring one but you should have some sort of folder to keep all your essential items in one place. Visas, insurance details, photocopies of your documents/cards are all musts. Another good admin point along these lines is to set up a couple of back up bank accounts before you leave. It’s not uncommon for banks to put a hold on an account if it’s used abroad so you don’t want to be left without any source of the cash or you won’t be having any fun! Set up a blog: A blog is a great way to log the memories of your trip and will make a fantastic keepsake to look back on when you’re home and back at work! It’s also a great way to pass on all the news to your loved ones at home without having to write a million emails saying the same thing every week. And it’s so easy to do so there’s no excuse! Backpacking Photo of the Week – Why Did the Giraffe Cross the Road?